This might be the cutest – and most fun – wedding favor in all of history. I give you bride and groom Peeps. 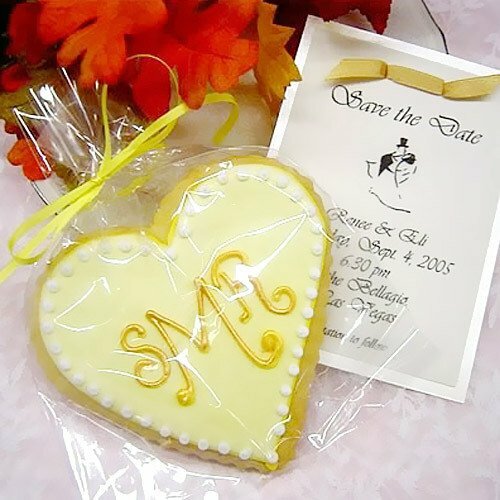 I’ve shared edible “bride and groom” favors before, including marshmallows “dressed” as the married duo and pretzel rods in their best bride and groom attire. As much as I love the trend of colorful cakes that are anything but traditional, sometimes I like to go back to the basics and find a lovely white wedding cake with minimal embellishments. Today, that is this white wedding cake adorned with fresh orchids. 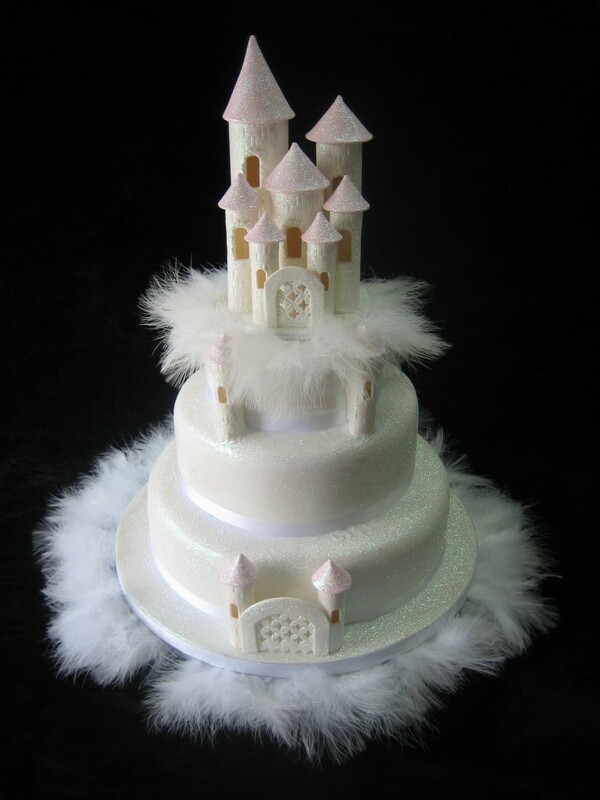 I have, over the past year or so, become a fan of non-traditional wedding cakes particularly those that go beyond a white wedding cake. I love finding cakes that use different hues, whether they’re bright and colorful or more muted black and white. 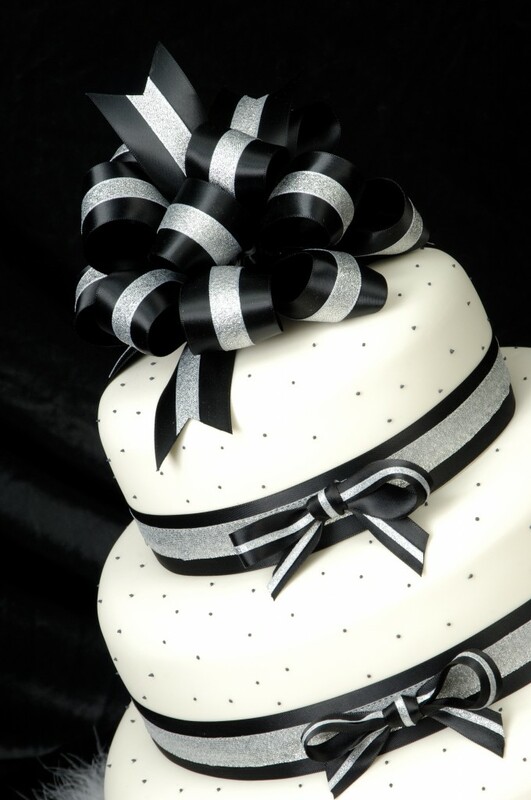 Which brings me to today’s cake – this lovely black and white cake with ribbons. 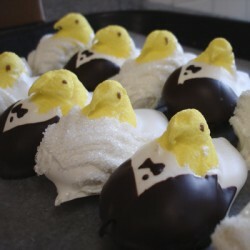 We are thinking spring this week and so I had to find a cute favor that would be perfect at your spring wedding. 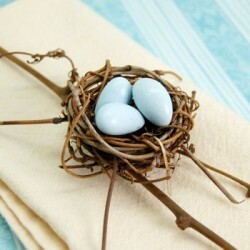 I think this mini bird nest is it. With the warmer spring weather (that we’re sure is coming any day now), the birds will start chirping again and building their little nests. Despite the winter wonderland outside my window, I have decided it’s time to embrace all things spring in the hope that there’s a thaw on the way and we’ll see green grass again sometime soon. As part of this ‘let’s think spring’ movement, I had to find a spring-y wedding cake to share today, and I think I found it! It’s quite possible that this wedding cake is the most romantic cake I have ever seen. Take a moment to look at this gorgeous creation. Doesn’t it just take your breath away? 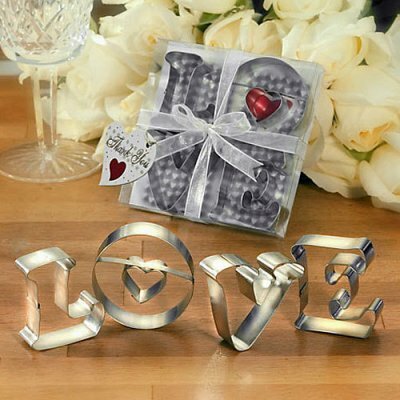 As we’re celebrating love all day today, I thought it was only appropriate to find a wedding favor that represented all things love. 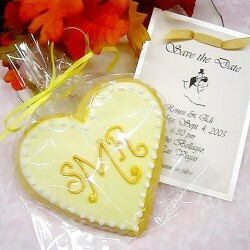 And so I give you the monogram heart-shaped cookie. In just a few days we’ll all be celebrating true love by gifting boxes of chocolate, so this seems like the perfect time to think about a chocolate wedding cake! And since pink is one of those “traditional” Valentine’s Day colors, I just had to look for a wedding cake that had something pink featured on it. As we’re heading into the week of celebrating all things love and Valentine’s Day, I wanted to share a cake with you that was so romantic it would make you swoon on the spot. I’m pretty sure this is the cake. 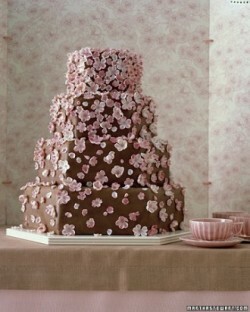 This cake is all about romance and flowers and love, and I adore everything about it. I love the square tiers on this cake – I’m a big fan of non-traditional shapes when it comes to wedding cakes. 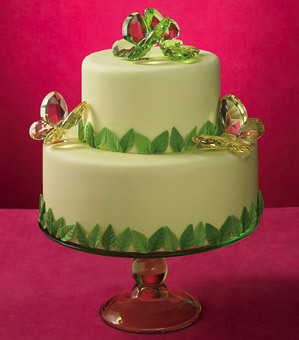 (This should come as no surprise, since my wedding cake featured eight heart-shaped tiers!) I think the square tiers give it a nice, modern contemporary feel. 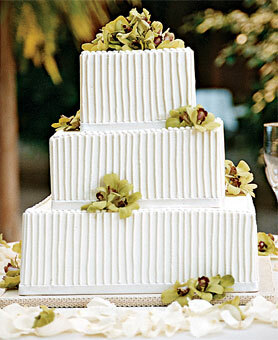 The gorgeous and simple white icing with the pearls around each tier give this cake a dramatic and modern look. 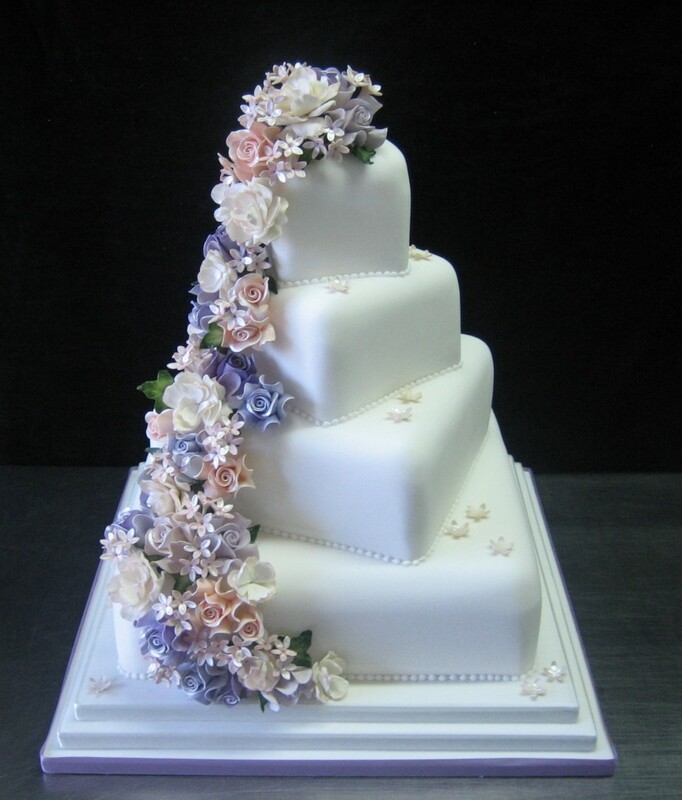 But what I love most is the cascade of flowers down the side of the cake. The bride wanted the flowers to replicate her bouquet – which is a genius idea in my book! Hockleys created these flowers with hand crafted white, pink, and violet sugar roses and other dainty buds. It’s incredibly romantic, don’t you think? A big thanks to Hockleys Cakes for sharing this creation with us! Photo courtesy of Hockleys Cakes. Love is in the air, there’s no doubt about that. With just one more week until Valentine’s Day, we’re all a flutter with love over here at A Wedding Cake Blog! This means we’re searching for love-inspired cakes and wedding favors and we just LOVE the favor we found for today.